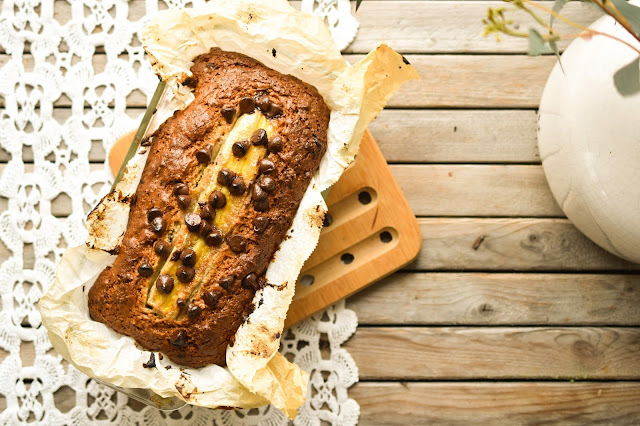 Banana bread is a treat, yes, but it's certainly healthier than other baked goods. There are bananas in there after all! I have been making banana bread for years, yet I have never truly been satisfied with any of the recipes. This recipe is what I was waiting for. It's simple to make and comes out reliably well each and every time. 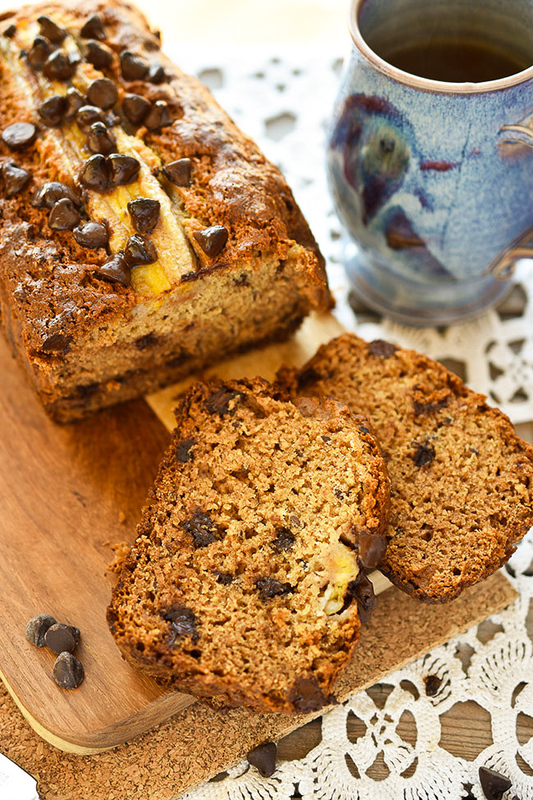 A while ago, I sent my sister home with a few slices of the chocolate chip version and she later left me a voicemail message saying, “That’s the best banana bread I’ve ever tasted.” It’s great when you enjoy your own food, but even better when someone else enjoys it. And then you get to call your banana bread "The Best Banana Bread Ever" because someone other than you deemed it so. Haha. 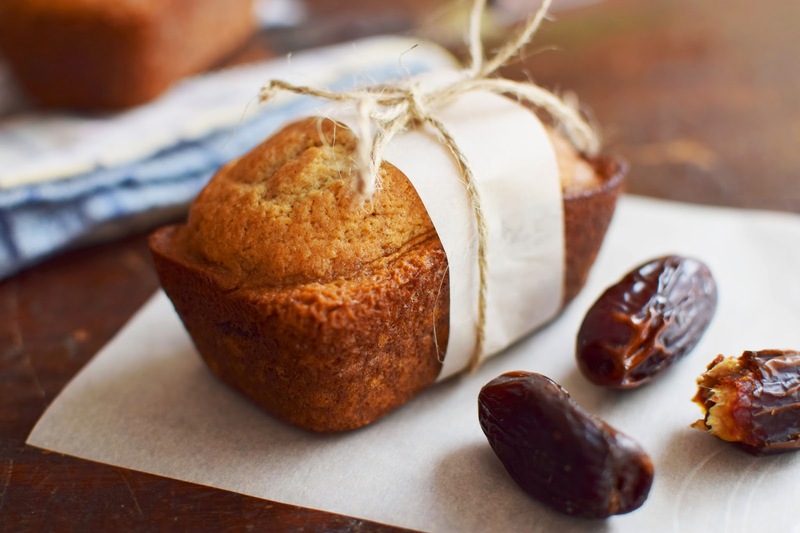 You might be surprised to know that you don't need eggs to make a tasty, high banana bread. I have called for powdered egg replacer in this vegan banana bread recipe (buy it in the health food section of your grocery store), but you could also make a flax "egg" by mixing 1 tablespoon of ground flax with 2 tablespoons of water in a small bowl. Over time, I have reduced the amount of sugar called for in this recipe. I'm still suggesting a cup of organic cane sugar, but 3/4 cup will work, especially if you add chocolate chips. I don't like mashing bananas by hand (too lazy), so I prepare the wet ingredients in a blender. Feel free to add sunflower seeds, pumpkin seeds, walnuts or any other healthy, natural nut or seed, for added fibre and protein. 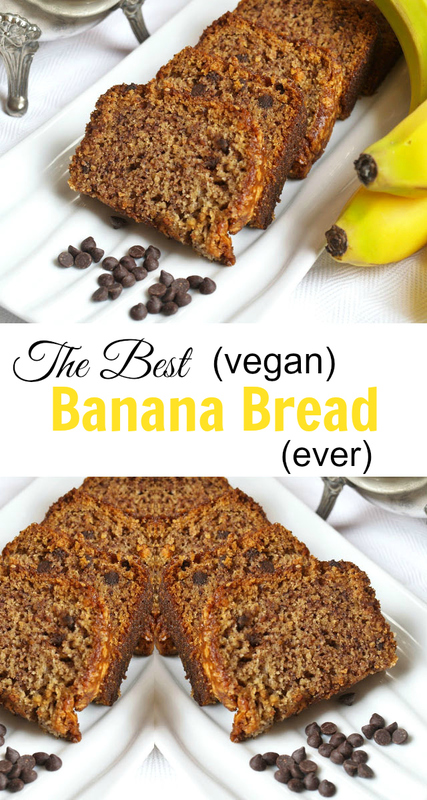 Here it is then, the best (vegan) banana bread ever! It's a bold claim I know. Try it and let me know what you think. Place vinegar in a measuring cup and add non-dairy milk to make 1/3 cup. Set aside. In a large bowl, mix together flour, sugar, baking soda and salt. 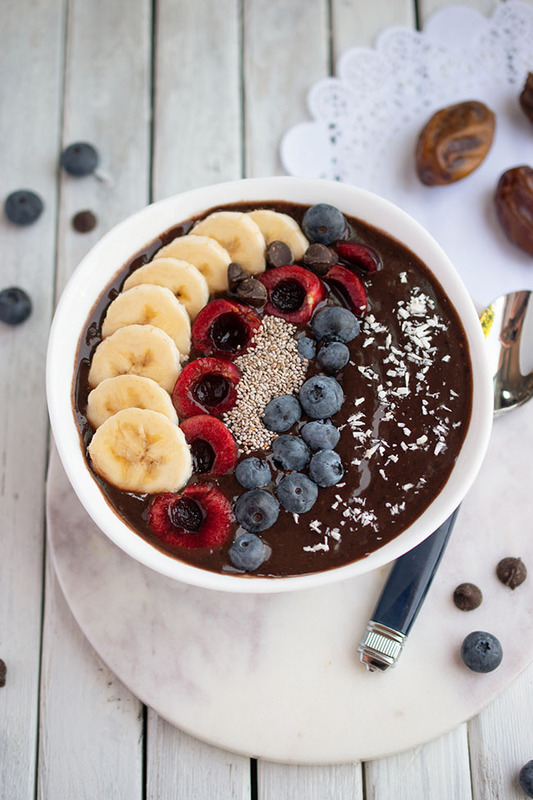 In a blender, mix together bananas, oil, egg replacer mixture and the vinegar/milk mixture. Stir wet ingredients into the dry ingredients until mixed. Stir in optional ingredients. Bake for 60 to 75 minutes, or until a toothpick in the middle comes out clean. That looks amazing. I am needing a new bread recipe to try. Thanks! I need to increase my stash of frozen bananas. I am always using them up for smoothies. I am going to try this recipe! Thanks for sharing. I changed the spelt flour for all-purpose Gluten Free and it was fabulous!!!!! So delicious and moist! Thank you! 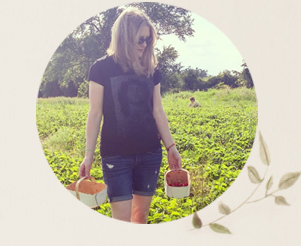 Hi Christie, Thanks so much for the feedback! I'm so happy you enjoyed the recipe and that it worked out as a gluten-free option. Yay!